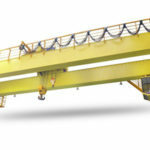 LDZ single girder grab crane is generally the same with LD electric single girder crane except for its grabbing mechanism. Equipped with grab hoist trolley, the grab bucket crane is suitable for handling almost all kinds of loose and bulk materials, such as garbage, industrial materials and sand. 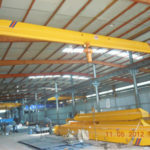 The lifting capacity of grab overhead crane ranges from 2 ton to 10 ton, and the working class is A4. This crane cannot be used in flammable, explosive or corrosive atmosphere. 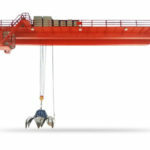 The grab crane system is usually controlled by an operator from the ground or by a driver sitting in the cabin to realize a safe and easy lifting operation. This grab bridge crane features high working efficiency, wide application, sturdy construction and reliable performance, making it perfect for lifting in mining, garbage disposal plant, steel plant and power plant. The grab crane design is highly dependent upon the specific requirements of clients, and custom design is also provided if necessary. With regard to your specific usage, load weight and working environment, there are different types of grabbing mechanism for you to choose from. Lightweight grab: it is suitable for grabbing small brick, lime, coal, dry grain crop and dry slag. Medium grab: it can handle cement, pebble, gravel, plaster and other materials with moderate size and weight. Heavy duty grab: it is capable of lifting and moving hard rock, steel scrap and metal ore. 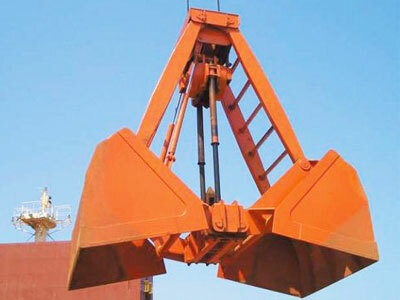 Extra heavy grab: it is used to handle metal scrap and heavy ore. 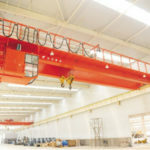 The grab bucket overhead crane consists a few main parts encompassing bridge, grab hoist trolley, crane running mechanism and electric control system. Bridge: this metal structure is composed by main beam and end beam. The main beam utilizes a box-shaped structure that is formed by U-shaped groove and I-beam group. The end beam is connected to the main beam by M20 high tensile bolts for the purpose of convenient storage and transportation. Hoist trolley: it is the unit for raising and lowering goods as well as running horizontally along bridge girder. Generally there are two sets of electric hoists mounting to the trolley, one is used for lifting items up and down, and the other is for opening and closing the grab bucket. 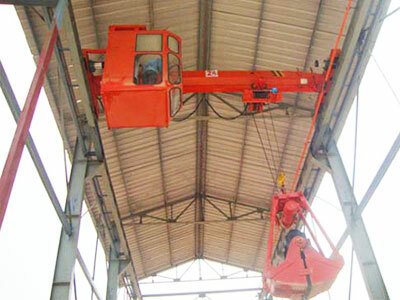 The electric hoist falls in two primary types, wire rope hoist and chain hoist, and the former is more often adopted. 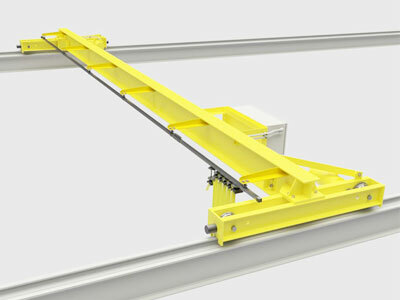 Crane running mechanism: it drives the entire crane to move back and forth along runway beam. The running mechanism adopts separate driving modes, which is completed by conical rotor with brake motor or electromagnetic brake solid rotor motor. The running speed can be 20, 30, 45 m/min. 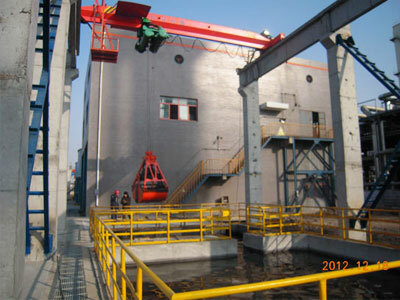 Electric control system: it is the unit that supplies power for the functionality of the crane. The electrical system design should take a few things into account, such as the reliability of lifting, durability and safety precautions. 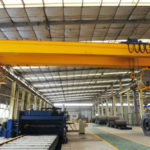 We are reputable overhead crane manufacturer and supplier in China, and have different types of grab crane for sale. 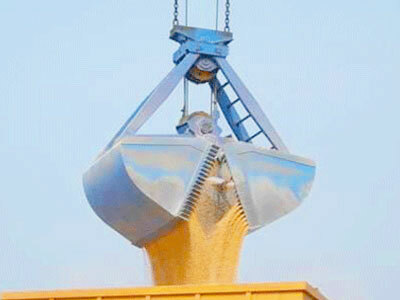 The grab bucket eot crane produced by our company can be assured with top quality and affordable price. Engaged in the material handling industry for over 10 years, we have gained a wealth of experience in the crane design, manufacturing, installation and maintenance. To get the best grab crane price, contact the sales team today.